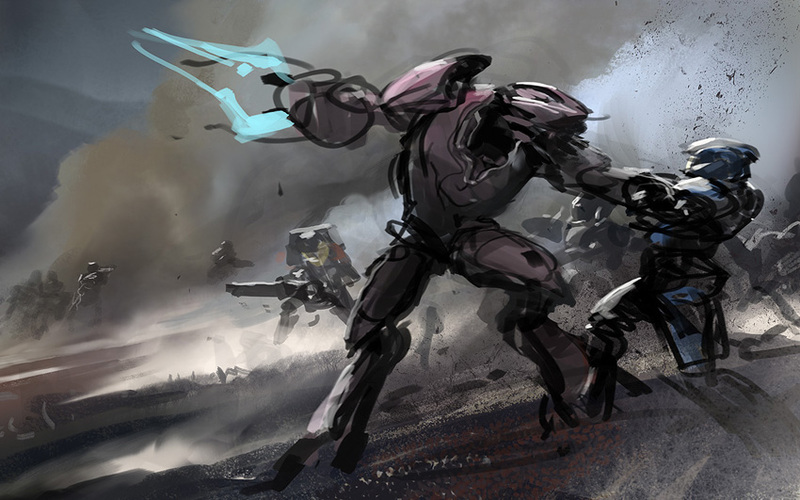 To make a great Halo game you need awesome concepts and ideas. 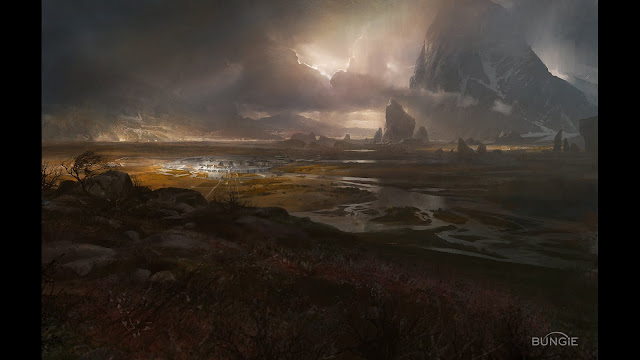 Ideas for plot, concepts for game play and most importantly, ideas for for what the game might look like. 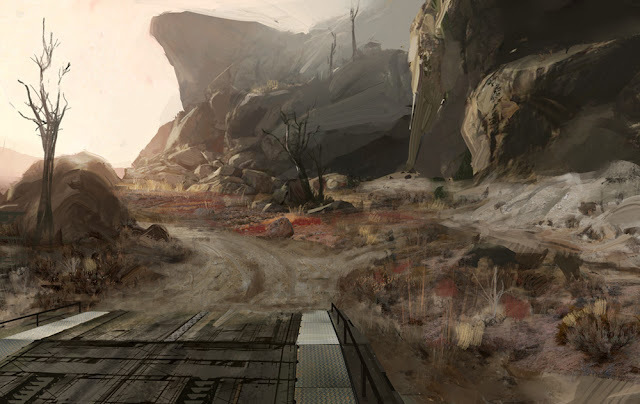 It is the concept artist's job is to take some of those ideas and turn them into on paper visions which will then help shape the game. 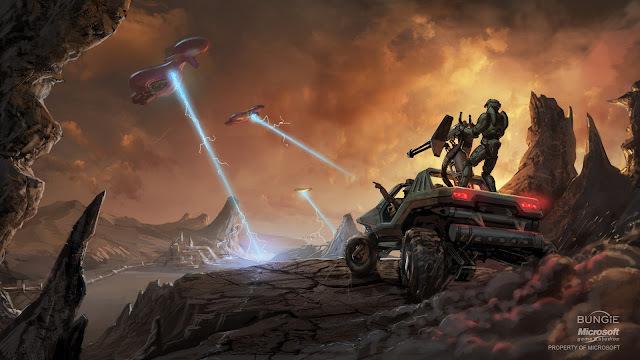 If you want a real world example at how important this is, look no further than Ralph McQuarrie whose concept design work for George Lucas is often cited as one of the key factors in the look of the Star Wars universe. So making the of Halo: Reach needed lots of ideas for how things might look. 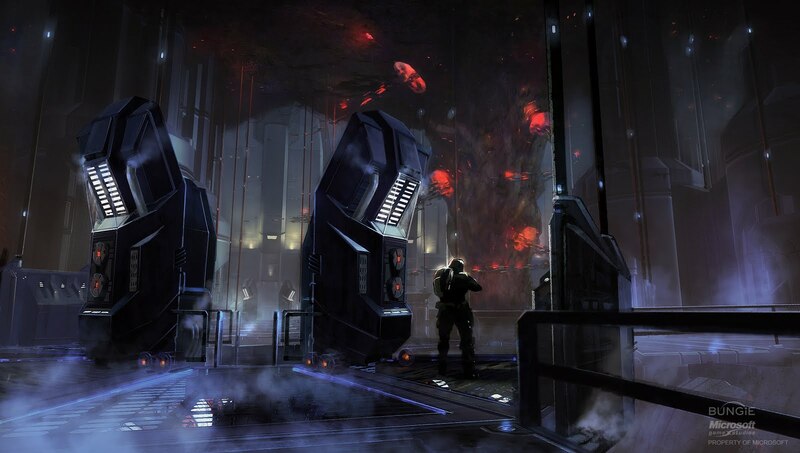 This included the Elites, Covenant ships, weapons, landscapes, buildings and what our heroes might appear like. 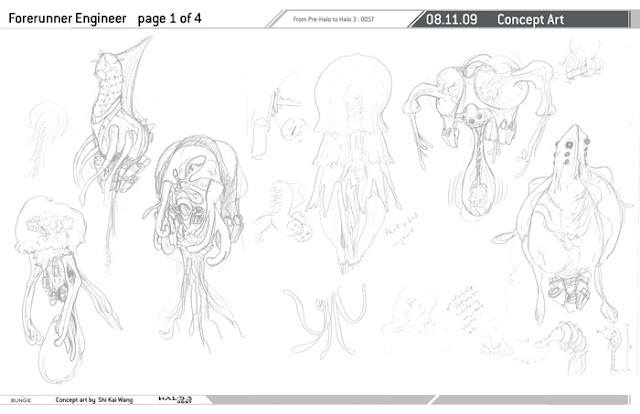 As a result of discussion, the artwork is revised and redrawn until everyone is happy. 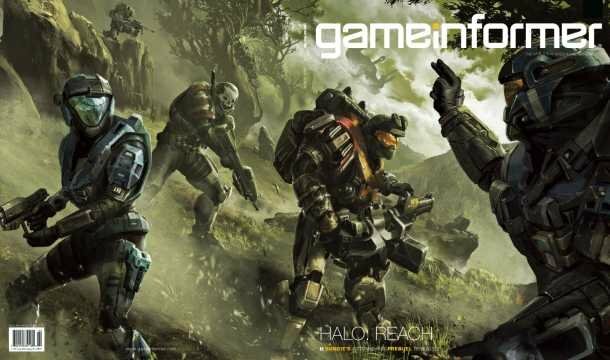 Halo Reach has been released to an adoring fan base - this means there's a lot of Halo concept artwork lying around gathering dust so Microsoft has given all the artists permission to release their concept art for Halo to the internets. 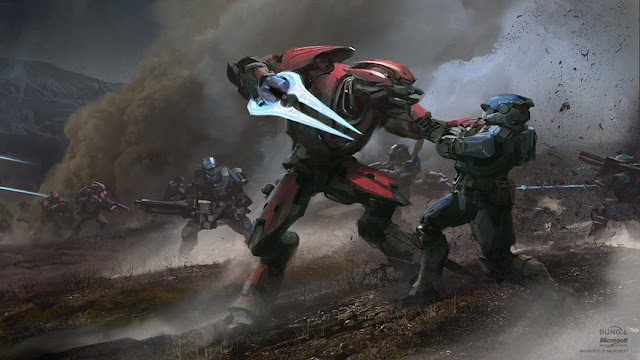 Here's a selection of that work and other Halo games from various blogs of the artists themselves. A lot of people will not know that Noble Team was originally going to be a team of 7, as Bungie was probably going for some kind of Seven Samuari vibe. 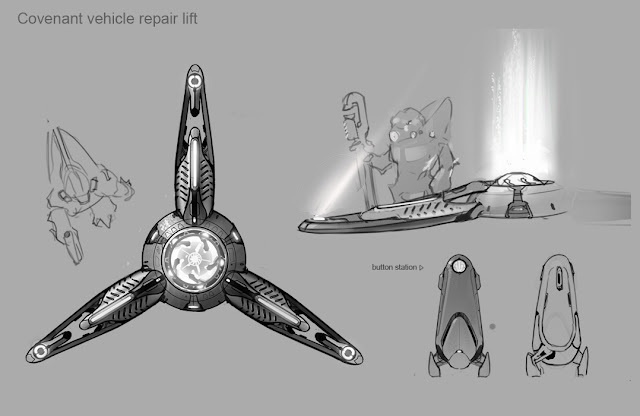 Here's a concept for some kind of crazy machine robot that never made it's way into Halo 3. 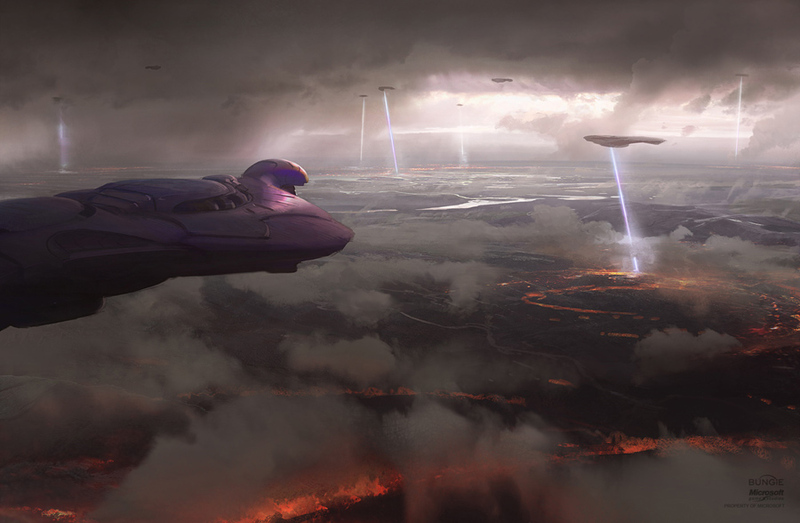 Could it have been some kind of Sentinel? 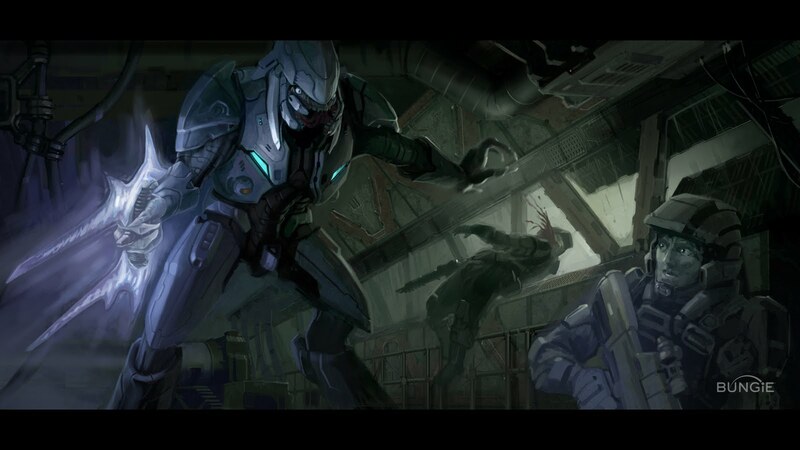 I doubt we'll never know.... looking back with some hind sight, this robot looks very 'Destiny' like. 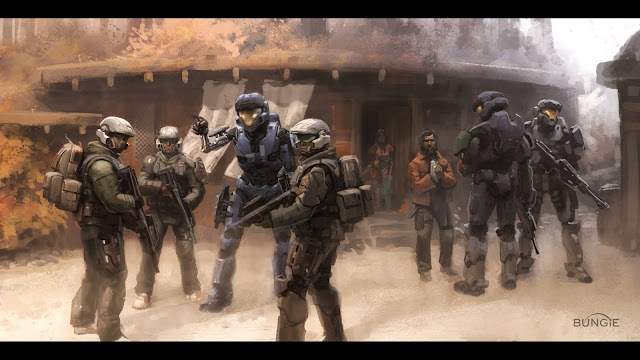 Taking a slight detour from plant Reach to Earth and some ODST artwork by Steve Chon. 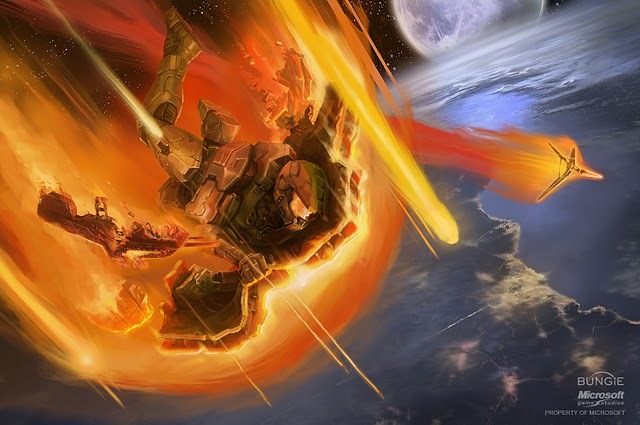 In the art of Chief falling to earth (prequel to Halo 3), the object to the right is the Forerunner Dreadnought, not High Charity... just sayin lol.